Powers to ensure online sellers pay the right tax, and don’t leave law-abiding high street and online businesses at a disadvantage, have come into force. These new rules, which were first announced by the Chancellor at Autumn Budget 2017, strengthen powers to make online marketplaces accountable for VAT fraud committed by online sellers on their platforms. These powers are known by the term joint-and-several liability (JSL) for online marketplaces. 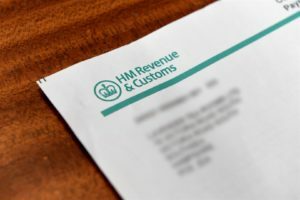 If sellers based in the UK or overseas are not paying the correct VAT when selling in the UK, and are not removed from the site following the issue of a notice by HMRC to the marketplace, HMRC will pursue the marketplaces themselves for any future unpaid tax by those sellers. For any sales made from today onwards, the rules also make online marketplaces liable for VAT where they knew or should have known that an overseas online seller should have been VAT-registered, but was not. If someone is committing VAT fraud, you can report them anonymously either online or phoning the HMRC fraud hotline on 0800 788 887. “This behaviour unfairly undercuts businesses trading in the UK that play by the rules, abuses the trust of buyers, and deprives the government of significant revenue that funds vital public services. The UK has led the way in tackling this type of fraud and, in September 2016, was the first country to introduce tough powers to tackle VAT evasion by overseas sellers – these have already gone a long way to remove over a thousand non-compliant overseas businesses from selling goods online in the UK and to motivate tens of thousands of overseas sellers to register for VAT. The new rules go further to strengthen and develop our operational response to online VAT fraud and error from both UK and overseas businesses. As well as this, businesses can apply to register for the Fulfilment House Due Diligence Scheme from 1 April 2018. This scheme, which was first announced at Budget 2016, will require businesses that store imported goods for, or on behalf of, overseas sellers from outside the EU to keep certain records and perform certain checks on the goods they are storing.